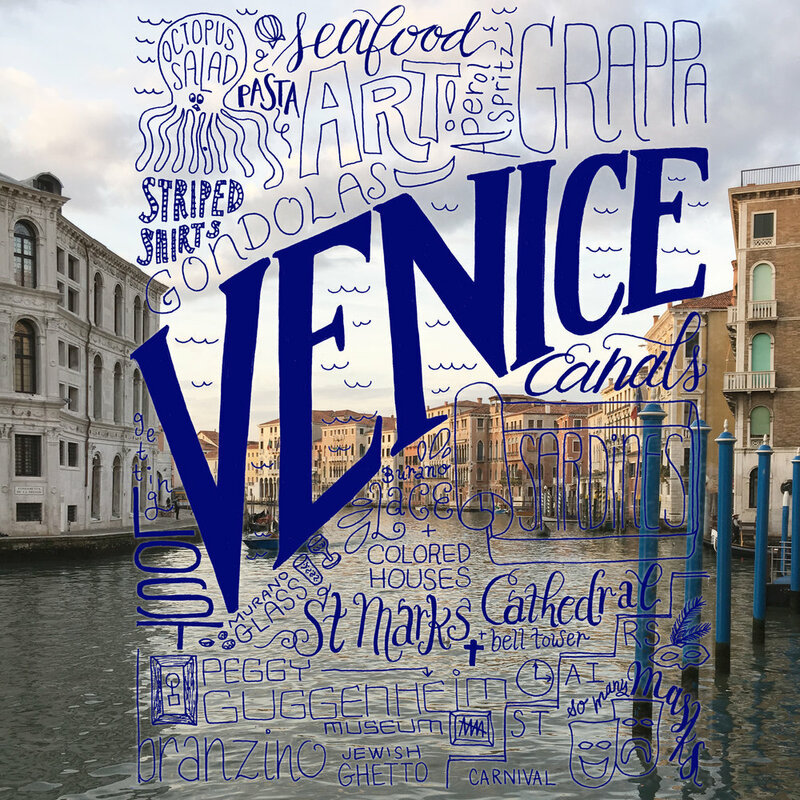 The Brief: To commemorate a trip to Italy (Venice, Turin, and Florence) and the city sights with a hand-drawn lettering collage. Role: Graphic designer and illustrator responsible for concept, design, and implementation of all lettering and illustration. Tools Used: Paper, pencil and ink, scanner, Adobe Creative Suite. Going on a trip to a new city and exploring the sights is one of my favorite things to do, and what better way to commemorate a trip than to create a custom lettering piece showing all the sights and activities from the trip. This piece started out as a pencil sketch, then was inked in on paper. The inked version was then scanned into the computer and applied to a great photo from the trip. Perfect as a framed print on the wall or for a travel magazine article about the city! 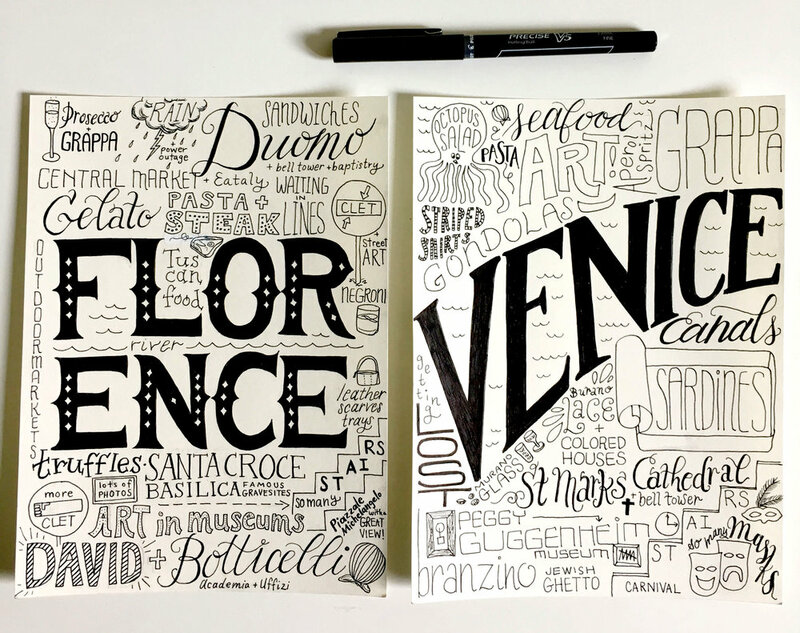 Final inked versions for Florence and Venice. Copyright Jennifer Hines. All rights reserved.